The Portland culinary scene is getting noticed all over the world. In addition to our vigorously thriving restaurant and food cart industries, we are also well known for the quality and variety of our beer and locally roasted coffee. And our award-winning Willamette Valley pinot noirs get lots of media attention, while consistently winning top awards. But did you know that Portland is also the country’s leading producer of fine chocolate? At first glance, this may not seem to make sense. Portland’s claims to fame is the strength of our farm-to-table philosophy. 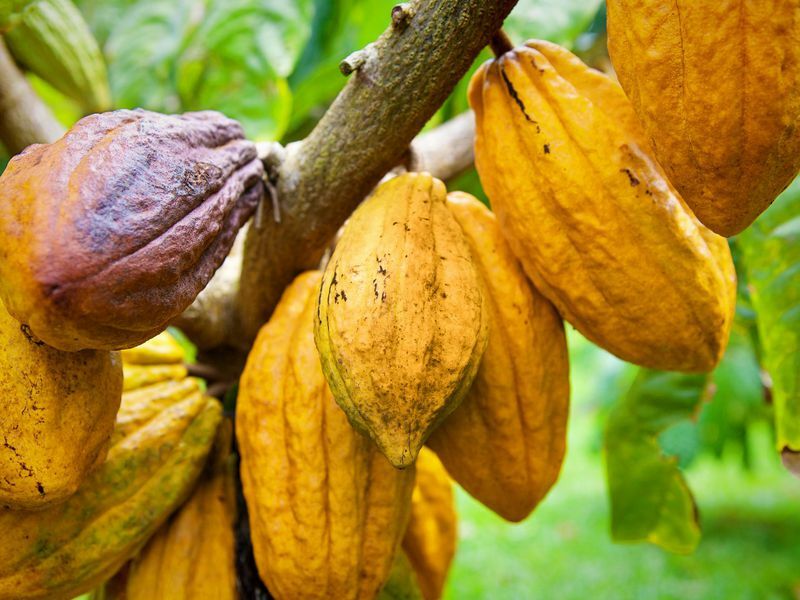 And cacao, the plant that produces cocoa beans, certainly doesn’t grow locally—it needs the warmth and sun that only occur naturally within 20 degrees north and south of the Equator. It is certainly our city’s emphasis on starting with quality ingredients that has helped lead to Portland’s leading role in the relatively new industry of “flavor-bean” cacao. This is also known variously as “flavor-grade,” “single-origin,” or “estate-grown” cacao. Ninety percent of all the cacao grown and consumed around the world today is what is known as “commodity” or “bulk” cacao. Bred to be hardy and highly productive, commodity cacao’s flavor notes tend toward the bitter, sour, and acrid. This means that chocolate makers need to add a relatively large percentage of other ingredients to make it taste good. Flavor-bean cacao comprises only about the top 10% of all cacao. It can be more difficult to cultivate, but its high quality allows producers to add a smaller percentage of other ingredients. Chocolate makers who use flavor-grade beans can also access the incredibly wide variety of flavor notes that naturally occur in cacao. 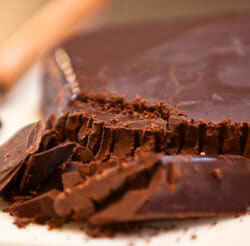 Food scientists tell us that cacao can have about three times the flavor notes found in red wine! Like Portland’s top chefs, our craft chocolate makers (known as bean-to-bar chocolate makers) start with only top-quality ingredients like flavor-bean cacao. By now, it may be less surprising to learn that Portland has more bean-to-bar chocolate makers than any other city in the U.S. Some of these chocolate makers even have relationships with the growers and plantation owners, which allows them to even more closely steward the chocolate production from beginning to end. Creo Chocolate. A family-run shop who specializes in tours where visitors design and create their own bar. Ranger Chocolate. Currently focused on three unique and surprisingly different single-origin Peruvian beans. Woodblock Chocolate Manufactory. Another family company that collaborates with local businesses Stumptown Coffee, and Salt and Straw ice cream. Missionary Chocolates The Mission of the company has always been to build an inpatient, integrative healing center in Portland, funded by chocolate. And then there are chocolatiers, defined as those who make confections out of already-made chocolate. Here are 25 of my favorite things to do in Portland. Whether you’re entertaining or just need to explore a little more of this awesome city, this list of things to do in Portland should keep you busy for awhile. They are in no particular order. Powell’s is the worlds largest independent bookstore. So the biggest small one I guess. It’s huge, it’s in the structure of an old parking garage, and has a great coffee shop to read books and sip a latte. Go here. One the corner of SW 10th and W Burnside. Open till 11pm everyday! 5.5 acres of manicured gardens with 5 Japanese style sub-gardens. This place is very peaceful and beautiful. It’s a great stroll and offers a nice view over downtown Portland at the Garden pavilion. They regularly have events from different artists in the gardens. Check the website for more info. It’s the oldest art museum on the west coast, and the seventh oldest in the US. The permanent collection has over 42,000 pieces. There is always a major traveling exhibit on show. Voodoo is the shop that really put Portland on the map for donuts. They put bacon on a maple bar, got plugged on the travel show, and bamm, instant huge lines around the block. BlueStar however, is newer and took the artisan-local-ingredients-approach to making donuts. Think “Blueberry Bourbon Basil”. It’s been a huge success as well with 5 stores in Portland, 2 in LA, and 7 in Tokyo. The Portland Science and Technology Museum is perfect for kids with a variety of hands-on exhibits. They also have the after-dark events for adults which basically adds beer and food to the exhibits. They regularly have rotating exhibits that are worth the entrance fees alone. Portland’s Zoo has a few things I haven’t seen at other zoos. A very good elephant exhibit, an anaconda, a Northwest exhibit with back bears, condors, & cougars, and a pretty good primate section with a cool orangutan. As the name implies, this is a garden full of Rhododendrons. It’s also located right on the crystal springs lake, offering nice views, a couple walking trials and good bird watching. It’a a relaxing spot to sit and take in the view over the lake with the golf course in the back ground. Also look for the infamous nutria or coypu rodents here. The Pittock Mansion is a French Renaissance-style château in the hills behind downtown Portland. It was original built and owned by one of Portland’s elite, Henry Pittock. He owned the Oregonian newspaper a long time ago. You can go inside and visit the intricate and detailed interior for 8 dollars. The grounds are open to the public for free, and offers on of the best views over all of Portland. SE Hawthorne street has a very diverse collection of shops. The area is known for some of the more colorful residents in Portland. Come for the vintage clothing stores, local coffee shops, and tattoo parlors. Definitely check out the Baghdad theater, and the adult soap box derby (if your visiting in August). The Pearl District is one of Portland’s most dense, walk-able, and livable neighborhoods. There are many art galleries, restaurants, bars, and local shops to keep someone occupied for a good while. One of the best things about the pearl are three awesome parks along NW 10th avenue. Start at Jamison Square and head north 2 more blocks to Tanner Springs Park, and just 1 more block north you’ll end up at the fields park. The Portlandia Statue is the second largest copper statue in the US. She would be 50 ft tall if she was standing up. The statue is located in an odd spot on the front of the Portland Building on SW 5th, but is still impressive to see. If you go into the Portland building and up to the mezzanine level there is a little history on the statue, and a life size replica of the statue face. The grotto is an outdoor Catholic shrine and walking path in NE Portland. Even if your not into religion, this place is worth checking out just for the meditation room. The meditation room is a quite space with huge floor to ceiling windows that looks north over the Columbia river. If you visit in December you can check out the festival of lights. The Saturday market, which also is open on Sundays now, is a outdoor market where you can buy goods made by local artists. Everything from wood home decor, to local board games, to glass jewelry, you’ll be able to find your local gifts from Portland here. The Market is located on SW Naito right near the Burnside bridge. March 1st through New Years Eve. There are over 40 farmers markets happening all over Portland. The most popular one to visit is located at Portland state University (PSU). The PSU market is the “flag-ship” farmers market in Portland. Here you’ll find all your local fruits and veggies, as well as local food artisans, and some chef demonstrations. If you want to see where the cities best chefs get some of that amazing fresh produce, this is one of the best things to do in Portland. Open 8:30 – 2pm on Saturdays. The Waterfront Park is a large 36 acre park sitting on the west-side of the Willamette river in downtown Portland. This used to be a large free-way type road, but in 1974 Portland decided to make it into a little bit of green space. It’s a great place to walk on any given day and has a great path that connects around to the other side of the river. If you want a good 3 mile jog with some good views and good people watching this is the spot to do it. The Chinese gardens in the Old town / Chinatown district of Portland are a walled off city-block (about 45,000 square feet), with a open air manicured Chinese-style garden inside. The Chinese gardens are one of the many relaxing things to do in Portland. There is a tea-court on the north-side where you can have traditional Chinese tea and relax while overlooking the garden space. If you feel like getting out into the woods of what basically looks like the middle of the Cascade range, go for a hike in Forest Park. The municipal park is the largest in Portland and one of the largest city parks in the US. You can really feel like your miles away from the city while still being within city limits. Forest park is one of the great hiking things to do in Portland. Start at the trail-head at NW 29th Ave & Upshur St for a good introduction. During the first Thursdays of every month from March through December, NW 13th between NW Davis and NW Johnson, is closed to car traffic and turns into a street fair with music, art, and some food. Participating art vendors show off their works, some of it for sale. The galleries around the area are usually open and free for the afternoon as well. The last Thursday Street Fair is held every month between May and October on NE Alberta between NE 15th and 30th Ave’s. If you’re looking for artistic things to do in Portland, head to last Thursday on NE Alberta. This monthly event has grown to be one of the largest art events in Portland, taking up 15 blocks. Last Thursday is a community grown event promoting local artists, musicians, and performers. This is a good community event and place to get out and see a lot of everything Portland all at once. The larger street events are seasonal and only run June, July, & August. The areas on NW 21st and NW 23rd between W Burnside and NW Thurman, is a great area to take in some of Portland’s great shopping. It has a lot of boutique shops, fine dining, home decor shops, and specialty ice cream shops. It is also know as Nob-Hill, or the alphabet district. If you like antiques, some of the biggest and best stores for all things old and nostalgic, can be found in the SE Portland neighborhood of Sellwood. The neighborhood is very walk-able and the antique stores are relatively close together. If you’re thinking Portland might be a good spot for thrift shopping, you’re right. Thrift store shopping is one of the more unique things to do in Portland. Start your pickin’ at Stars. Located on the corner of SE 17th and SE Milwaukee. From there follow SE 17th north and you’ll find half a dozen more stores to rummage through. The 4T trail is a route that combines the Train, Tram, Trolley, and Trail. You ride the MAX, use the Street Car, take the arial tram, and hike to council crest park. It will take about 4 hours, with 2.5 miles of walking. Buy a $5 all-day pass through one of the Max or Street car stops, and then buy a tram ticket for $5. This is a very good way to explore some interesting corners of the city, and take in some great views too! If you like basketball, this is a good town to be in. The Blazers won the championship a loooong time ago in 1977. Even though it’s been awhile since we’ve seen some glory, this town has some of the best fans in the NBA. Buy tickets online, at the box office, or try your luck with some of the scalpers out front of the Moda Center. If you haven’t been to a McMenanmins Property, the Kennedy School is a great place for an introduction. The Kennedy School is an old 1915 elementary school converted into an eclectic hotel, bar, event space, cigar lounge, movie theater, and soaking pool all wrapped up into one unique spot to spend the day. The soaking pool uses chlorinated saltwater. Apparently this makes it more buoyant. Spend the day soaking, then grab a beer, see a show, maybe a movie, get some food, oh and might as well just spend the night too. The soaking pool is one of the more local things to do in Portland. General public over age 18 welcome daily, 10 a.m. ’til 8 p.m. There are of course many more things to do in Portland other than just these 25 things. Hopefully this gets you started. We Oregonian’s are quite fond of our local hazelnut orchards, which makes sense when you consider they bring to life our beloved state nut. 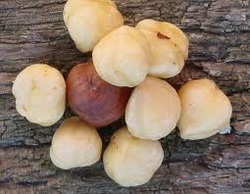 As fall wanes and Christmas approaches we’ve suddenly found ourselves in the thick of nut season, and with a whopping 99% of all U.S. hazelnuts hailing from our very Willamette Valley, that means there are a lot of the little guys to be found. Local restaurants and food carts feature our pride and joy in seasonal dishes, chocolatiers chop and grind ‘em for truffles and treats, and shops roast and candy them before stuffing fancy packages to sell as holiday gifts. Even the shell is precious to our northwest culture, as it can be found in many-a front yard as mulch and a protective barrier against slugs and snails. Lucky for us – and thanks to some pretty sweet weather conditions – the 2013 hazelnut harvest brought in a record haul with production up almost 8% from last year. What does this mean? Why, party time, of course! Enter Mt. Angel’s Annual Hazelnut Fest December 7th & 8th, featuring everything Oregon, including your Eat Team’s very favorite subjects: seasonal food, Willamette Valley wines, and Oregon brews! Buy local, eat local, be local, and everybody wins! Until next time, we are Allen Jones and Angie Johnson, and we love to EAT! Eat Adventures Food Tours offers culinary and sight-seeing excursions around Portland in into Oregon’s Willamette Valley, Mt. Hood, and beaches. For additional tour information please visit our home page. Have you ever had a run-in with food so miraculous it could pass as a near religious experience? A meal so amazing it haunted your dreams for weeks, leaving you to wake utterly ravenous, and terrified that you may never taste it’s sweet deliciousness again? Rest assured that you are not alone. A friend of ours had been hassling us for weeks about this place called Podnah’s Pit up on Killingsworth, using such flowery language and exaggerated detail that we were sure he had to be embellishing his stories just a wee bit. “Oh, the ribs are amazing,” he would say in half-trance while rubbing his belly and licking his lips. It wasn’t hard for him to convince us to check it out (really, he had me at “ribs”) and we agreed to meet him for a late dinner last Saturday night. Boy, were we mistaken. Podnah’s Pit BBQ is hands-down one of the best places I’ve ever eaten. Everything – and I really mean everything – we ate was mind-blowing, from the two-inch thick pork loin I ordered, to the brisket on Allen’s plate that had been smoked for 10 hours. Collards, BBQ beans, and green chili mac & cheese. Pints of Oregon brews, slices of pecan pie, and cornbread so buttery and sweet you could eat the whole tin. We walked out at closing with shaky knees, bulging bellies, and a full-grown infatuation with our new favorite place in town. I could go on for pages – about how the pit crew drags their rear’s out of bed at 5:00 every morning to get the meat going, or all the press and acclaim Rodney Muirhead has received since opening the joint back in 2006 – but time is short and I only grow more hungry with every word typed. Instead, I encourage you to try Podnah’s yourself, and then report back to us about your eating adventure! Until next time, we are Allen Jones and Angie Johnson, and we love to EAT. When did Olé Latte Coffee Begin? We’ve been at this location for the last two months, but we originally opened last May over at NE 20th and Everett. When we got the call to come down here we jumped. We waited for 9 months to get into this pod, and it’s turned out to be the perfect spot for us. How our cart fits here, it’s like the end of the rainbow; exactly where we should be. Everything has worked out perfectly. What made you choose a food cart? I’m from Portland, and I originally considered doing a brick & mortar café but it can be a really tough environment. It’s common to over commit into a 5 year lease before you establish a name for yourself, whereas the food cart is an affordable opportunity where you can get a name for yourself and build a following. Are you interested in expanding in the future with other food cart locations or possibly even a cafe? I am interested in both, but right now I’m more interested in opening up more food carts because I’m having a lot of fun with this type of business. I think the next project will be to build an event cart, so I haven’t committed to any specific food pods yet. I’ve recently been approached by a couple of other businesses who would like to partner up and open a café – which is a very intriguing idea especially as they’re already established in the Portland area – so that could be a future possibility. I’m excited to get another mobile food cart going first though. Have you felt any push-back from the local businesses? None. Everybody has been really receptive. The reaction has been more “we’re so thankful you’re here!” rather than “why are you here?” The support has been such a blessing for us, and I couldn’t be more elated about being here. At first I thought there might be a little static, but there just isn’t. I’ve even had some of the other coffee shops come up to say “hi” and check out what we’ve got going on that’s unique and promising. What has it been like being a part of the food cart community? The carts that are close to us are very community involved, because we’re all looking out for each other and making sure that we contribute to the good of the pod. Most everyone that I’ve visited with, even at the other lots, has been extremely receptive and friendly. We’re all in it together, and everyone has been great about helping us and promoting our cart. About how many customers do you serve a day? I’ve been serving, on average, between 50-75 customers a day. We’re just starting out at this location, only two months in, and we can already measure our success. It isn’t just new people coming by; there are people who have become regulars that come up not just once, but two, maybe three times a day to get something from us. It’s been exciting. Truthfully, it really was wine that drew me into the coffee business. I’ve always loved the way the grapes were grown and harvested; how the climate affects each one of the grapes every year making that wine different and unique. You go to the wineries and get the special wine from their single vineyards, the stuff that hasn’t been blended. That’s the same thing we’re doing here, but with coffee. It’s the exact same concept. I had no idea until last year in February when I was going to go open the café, and then I realized I should just start smaller. But what could I do? That’s when I decided I wanted to do coffee in the morning and wine in the evenings. I asked myself if I could love coffee as much as I love wine, and I’ve discovered that I can. So I dove into it headfirst without even looking to see how deep the pool was, and I discovered that the pool was so deep. I could go anywhere and learn about so many different things, I had no idea. I’ve found that the more I understand, the more I want to keep discovering new coffee and trying new things. Roasting, creating new recipes… it’s boundless. Has that been the thing that’s surprised you the most about this journey? How much I love coffee? Yeah, absolutely! I still love wine, but I’ll tell you, I have a true passion for coffee now. Todd and his crew are available daily for smiles, samples, and downright delicious coffee. Olé Latte Coffee is located at 1003 SW Alder Street, in Portland, and on facebook at http://www.facebook.com/OleLatteCoffee?fref=ts . As the official start of tourist season approaches, we wanted to take a moment to introduce the foodie duo responsible for bringing regional culinary tours to the Portland area. My name is Angie, and I work alongside my husband Allen to fill peoples bellies while showing off some of the natural treasures that make this area so wonderful. Together we act as your humble guide/driver team, cruising through the Columbia Gorge, alongside the Pacific Ocean, and around the streets of Portland, all while sampling some tasty northwestern grub. Our love for food was fully realized during a stint abroad, where we found that the sole purpose of our daily explorations revolved around tasting anything and everything we could get our hands on. From hand-made Chinese noodles, to Ecuadorian guinea pig roasted over an open flame, we ate our way around the globe returning to our homeland eager to share our love for food and travel. As luck would have it, one of our favorite places in the world had become a foodie destination in its own right. In recent years Portland has enjoyed a wealth of national admiration for a budding culinary scene, as well as a steady stream of praise from food and travel personalities who frequently feature the city’s eateries on their shows. Amidst all this recognition, other areas in the region have quietly upped the ante, taking full advantage of the local bounty and creating menus so fresh they change daily. Celebrating these restaurants and their chefs became our mission, and thus began the Eat Adventures Coastal and Mt. Hood regional food tours. 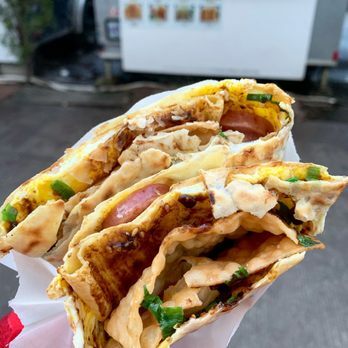 Additionally, we recently added the Portland Food Carts & Neighborhoods tour as a half-day option for guests with busy schedules and a curiosity for the food truck phenomenon that’s unique to our city. So come spend a day with us, exploring the natural and culinary beauty of the Pacific Northwest, one bite at a time.